On other places on this site, we’ve discussed the merits of installing concrete paver patios, along with using other materials to create a backyard getaway. One of the best patio ideas – an amazing way to continue to add to your backyard paradise – is to create an enclosed patio. Also known as enclosed porches or an enclosed decks, these structures allow you to enjoy your patio paving while being sheltered from the elements. There are a lot of choices and other things to consider when thinking about adding a new patio enclosure. To help guide you in this decision, we’ve assembled a brief enclosed patio guide that will show you the major aspects of your project to consider. Come back often, as we’re always adding new material and updating this site to continue to bring you valuable information and insight. There are two major kinds of enclosed patios that you can add to your home. The first is a room that is simply part of your house; these so-called sunrooms simply have lots of windows that allow in lots of light. Thus, you’ll be able to enjoy the beautiful elements, especially the sun, without having to actually be outside and deal with the heat and UV rays and other weather conditions. This kind of project is more of a ‘room addition’ than an enclosed patio, though some may tend more towards a patio than a room given their properties. The main difference that sets them apart from enclosed patios is their expense – because they are added on directly to your house, you’ll end up paying more for the work. The second is more like a patio in that it is primarily an outdoor structure that has been ‘enclosed’ or ‘covered’ in order to protect the inhabitants from the elements. The degree to which a patio is enclosed varies from design to design. One covered patio may simply be topped off with an awning; thus, bugs and wind and other elements can get inside your covered patio, while the sun and heat will be diminished. Others are more like outdoor rooms, in that they are enclosed with screens or other materials to completely surround the patio and guard against bugs, wind, and even hot and cold temperatures (when the room is climate controlled). Which one you want depends on how you want to use it and on how you conceive of your enclosed patio. For instance, if you think of your room as simply an extension of your home, and you want it to be climate controlled and comfortable and usable year round, you’ll probably tend more toward the sunroom approach. However, if you see this space more as an enclosed porch, one that is part of your yard as opposed to your home, you’ll want to look into enclosing a patio instead. This patio will only be usable during temperate or hot times of the year and depending on how enclosed it is. Note that you can also use your enclosed patio for many different purposes. Some simply like to have a covered place where they can entertain guests in the more temperate seasons without having to worry about inclement weather and other worries. Others, however, like to make the space an area to hang out continually; some even turn them into family spaces, exercise rooms, libraries, and dining rooms. Thus, give some thought as to how you want to use your space, as this will largely determine what kinds of materials and designs you’ll use for your project. If you crave flexibility, you can also buy retractable patio covers that can be deployed when you need them, such as on an especially hot or rainy day. Thus, you’ll have the flexibility to manage how much of the ‘outdoors’ you want to experience. The first obvious benefit of your enclosed patio is its beauty and aesthetic appeal. Looking outside while inside your patio is one great aspect, but patio rooms look almost as good from the outside looking in. In addition, this beauty and function will add value to your home, both financially and in terms of increased living and working space for you and your family. Second, you can enjoy the ‘outdoors’ in comfort. How much of the outdoors you feel will depend on if you only have a patio roof or if you opt for the more enclosed structure. Nevertheless, you’ll be blocked out from the sun, deal with cooler and more comfortable temperatures, and not have to deal with mosquitos and other annoying bugs. You can also enjoy the safety and privacy of your enclosed patio. You won’t have to worry about nosy neighbors watching you at all hours of the day, and you can be sure that you can be safe from the weather or anything that bumps in the night. The first thing to think about is how enclosed your patio room or sunroom will actually be. At the very least, you’ll have canopies or awnings that will cover the top of your patio and block the sun and rain from reaching the contents of your room. You’ll then need to decide how best to enclose your patio on the sides, if this is something you want to do. Some opt to have nothing blocking the sides; this makes the room more of a covered patio than an enclosed one. As for enclosing materials, you can opt for many different types, from screened patios to patios with nets covering the side. If you build in walls and windows as part of an extension to your home, it’s more of a sunroof and thus more expensive but also the most beautiful and valuable. You may also opt for glass enclosures to allow the maximum amount of sunlight in, though you will also sacrifice privacy and increase the structure’s vulnerability. To save money and decrease the time and hassle involved with installing your new patio, some companies sell ‘modular’ systems that are pre-assembled and then assembled on the spot. Another thing to think about is what the ‘floor’ of your patio will be. If you already have a patio made from concrete or concrete pavers, then you can simply add your patio roof or patio covers, screen porch, etc. and be done with it. Or you can install an entirely new patio surface out of these materials or others; if you want a more ‘indoor’ feel, you can go with tile, carpet, wood, and other options, though keep in mind that some of these materials won’t be viable with particular patio designs. Your best bet is to get design plans created by a professional architect. They will best know the options available for you and what you can create given your resources. They will also give you an estimate so that you can get an idea of how much this will cost. There are an incredible number of different designs, products, and variations to the sunroom/enclosed patio, so you’ll need to do further research to find what suits your tastes and budget. Look for images of sunrooms that you like and present them to your contractor or sunroom company. They can then use these images as a guide to best create the addition that’s right for you and your family. While creating these projects may be out of the reach of many homeowners, some may still seek DIY solutions, especially if they are looking to install modest enclosures. For instance, if you already have an outdoor porch or ‘framed’ patio, it’s relatively easy to buy thin mesh screen and put it up around the sides of the patio. This will not be the most elegant solution, but it will serve its primary purpose: keeping out bugs and irritants. You can also buy screen with vinyl attached so that you can easily assemble your enclosed patio to the proper specifications without having to deal with plain mesh. It is also possible to buy sunroom ‘kits’ that you can assemble yourself. They may not look as great as the professionally installed kind, especially since those will be exactly customized to your taste, but they are great in a pinch. The great thing about these DIY projects, however, is that you can easily take them down and put them up at will, so you’ll have flexibility as seasons and weather changes. You’ll also want to make sure that you don’t need to get any permits from your local municipality, as some require paperwork to be filed if you’re at all adding on to your ‘home,’ so make sure to check with officials in your area. One of the great advantages of concrete is its relatively cheap price and ease of installation. However, its main downfall, besides the problem of cracking, is its looks – concrete is grey, drab, and pretty boring to look at. It goes fine with most decors, but it isn’t the most optimal material to use for most projects. However, there are ways to spruce up your concrete project so that it will be more stylistically interesting. The most common method is installing stamped concrete. Stamped concrete has particular designs, shapes, and textures ‘stamped’ into the wet concrete in order to make it look like something else. Combined with concrete paints and finishes, an otherwise boring slab of concrete can be made to look like something finer – concrete or natural stone pavers, bricks, and even wood! Luckily, making your own stamped concrete is relatively easy, as long as you can pour it yourself, making installing stamped concrete a viable DIY project for many homeowners who have the skills and time. Note, however, that some stamping projects can be challenging, so when in doubt, go with a professional whose work you admire to ensure that your project turns out right. If you are interesting in a do it yourself stamped cement project, you’ll need to buy concrete stamps that you can use to create the designs you want. This article will describe the tools, materials, and products you’ll need for successful concrete stamping. It will also give suggestions for how to find and save money on concrete stamps for sale. The number of concrete stamp patterns out there is simply astounding. You can find every kind of designs, from regular patterns like brick and stone to irregular shapes and textures. 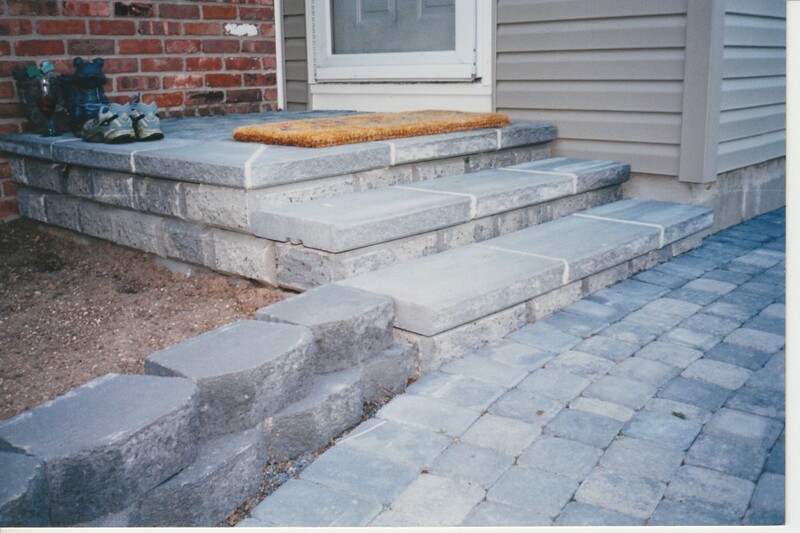 You can also find interesting shapes and designs that you can use to make your concrete patio, walkway, driveway, pool deck, or other installation uniquely your own. In fact, it may even be possible to make or obtain custom stamps – you are thus only limited by your imagination and your budget. Most stamps are made from rubber and plastic, making them flexible, light, and easy to work with. They can be easily washed and reused from job to job, so you won’t have to worry about having to buy new ones. There are two main types. For small jobs, you can simply buy one unit stamps or stencils. For instance, if it’s a shape of dolphin, you only need to have a single dolphin stencil that you apply where needed. However, if you have a pattern that repeats, such as a cobblestone, paver, brick, or stone appearance, you’ll need to buy mats. Mats are simply big versions of normal stamps – they contain the “unit pattern” so that you can have it repeat regularly throughout the entire surface of the concrete. These mats vary in size, depending on the pattern, but most are in the 4 square feet range. How many stamps will you need? Stamps can be expensive, so you may feel tempted to save money by skimping on the number you purchase, but don’t! You’ll need at least enough to go across the whole width of the project, plus a couple to start the next course. Think about it – you want the texture or pattern to be even and nicely distributed. Any mistakes can be costly to the appearance of the final project. In addition, you want to be able to stamp everything necessary within the time that the concrete is wet and amenable to stamping. If you are too slow, you may have serious problems with the final result. Note that stamps should only be used on concrete 2 inches thick or more. While stamping and staining may be a potential DIY project for someone with the experience and skills to do it, it can be challenging, and mistakes can make a concrete slab look terrible – this can be a very expensive mistake to make. Unless you have the chance to practice and find out what works, it may be best to leave all this to the professionals. In that case you wouldn’t have to buy or rent concrete stamps, so it may be worth it in the end. The cost of the stamps depends on a number of factors, including the size and pattern of the stamp. In general, expect to pay anywhere from $100 to $250 per stamp. Most of the time, these stamps are bought by contractors who will use them on the job. This is due in part to the fact that these stamps are incredibly expensive for many homeowners to purchase in the quantity necessary. However, there are other options available to these homeowners, including renting and buying used stamps. See the saving money section below. There are some other concrete stamping tools and products you might need to fill out your concrete project. First, in terms of using the stamps, you may need floppies or flexes; a tamper; and other hand tools. If you want to give your concrete a different color or stain, you may need acid stains, colors, release agents, and other materials. You may also need particular forms and molds to properly shape your concrete creations. One way to save money if you need stamps for a single job is to find stamps for rent. Finding rental concrete stamps may be difficult to do if you don’t have a supply yard or a contractor in your area willing to do this. You may also be able to find used concrete stamps for sale, either from individual homeowners or from professional contractors. Note that it also may be possible for you to create your own stamps and patterns out of materials and objects laying around your house. Use your creativity and don’t be afraid to test on sample (and eventually disposable) concrete. If you are looking to create a new hardscape creation in your front or backyard, one great material to use is concrete paving slabs. These are similar to pavers in that they are precast and made from concrete, and they are both very strong, but there the similarities end. Paving slabs, also known as paving flags, are flatter, longer, wider, and thinner than pavers – they thus cover more square footage per slab than pavers but less thickness and depth. Paving slabs combine the strengths of concrete with some of the benefits of concrete pavers. Because there are ‘joints’ throughout the structure, the concrete will resist cracking, especially if dry (sand bed) methods are used to install the pavers. In addition, you’ll enjoy the strength and durability of the concrete, which will stand up to years of weathering and traffic. All in all, your investment in paving slabs will last you for decades. Precast concrete paving slabs come in many sizes and shapes; the most popular include square and rectangular shapes. However, you can get interestingly shaped slabs, such as hexagons and octagons, though you’ll sometimes have to get these custom ordered, as they are rather unusual. Typical sizes of slabs range from one square foot (1′ x 1′) and up (such as 24 x 24 concrete pavers), but other sizes are possible. Very large sizes, up to a square meter, are also possible, but these require special installation by a professional due to their large size. As for color, slabs most often come in the standard color of concrete, grey-white, but you can get them artificially colored if you’d like to match them to your home’s style and theme. You can also get them with a variety of finishes and textures, so your design options are quite good, especially when compared to normal concrete slabs that are poured on site. The type of slab you select will have a profound impact on the designs you can build for your project. 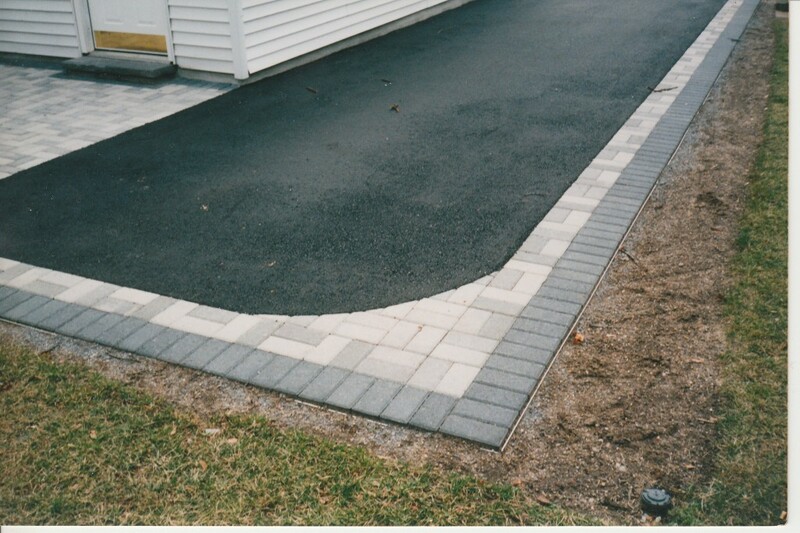 Paving slabs can be cut, but it is more likely that they will be laid in a more rectangular and regular pattern – if you want curves for your project, you’re better off with smaller options like paving stones. You can also get paving slabs of varying thicknesses, and you will need thicker slabs if you want to drive on your new project, such as for a driveway. Note that you can also get paving slabs made out of other materials, most commonly stone. These slabs look different than concrete, giving a natural look, but they are usually much more expensive than the concrete variety. What Projects Can You Use This Material For? Paving slabs are most commonly used for walkways and patios, though in some situations they may be used for driveways as well. They have also found a home in garden and landscape applications as well. Note, as stated above, that different sizes, shapes, and thicknesses of slabs will be needed for particular applications. Driveway slabs, for instance, need to be a bit more robust to handle the rigors of driving. Be creative – you can uses the slabs for a variety of other options as well. Don’t ignore the possibilities of garden paving slabs and other uses. For instance, you can use them as a path through a flowerbed or through a garden. They can serve both aesthetic and functional purposes, though note that their rigid and square construction will work better with certain decors than with others. Paving slabs are similar to concrete pavers in that they must be laid individually by hand. Luckily, their simple installation means that homeowners can do it themselves; they don’t necessarily need to hire contractors to get the job done. However, since wet applications, using mortar, are usually used to install these slabs, you should not attempt this type of installation unless you are skilled in working with this material. 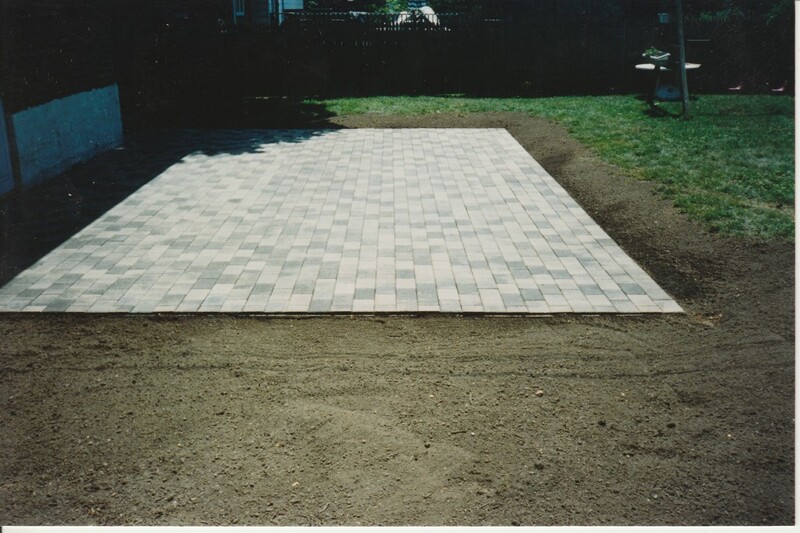 The cost of paving slabs is relatively low compared to other paver options, most notably because they are larger and thus are more economical to purchase and install, especially if you can find cheap concrete paving slabs to install in your home and garden. You will pay around $4 to $10 per square foot, or more, depending on the type of slab, color, texture, finish, and so on. It is also possible to find cheap paving slabs if you know where and when to look. For instance, you can usually find concrete paving slabs for sale on classified ad sites like Craigslist – local homeowners may simply want to get rid of old material, so all you’d have to do is show up and take it. You can often get decent quality material through this method. Note as well that you can get very cheap slabs if you make them yourself. All you need to do is find concrete block molds or any other concrete molds for sale and pour the concrete – or, with the right materials, you can make your own molds and forms. This post is meant as a way to clear up some confusion about the term “stamped concrete pavers.” In fact, this is actually the combination of two different things: stamped concrete and concrete pavers. The confusion lies in the fact that stamped concrete can be made to look like concrete pavers. Let’s explore the differences. First, stamped concrete. Let’s say you are building a patio, though this may also apply to walkways, driveways, and other projects. After pouring your concrete slab, you then use tools to “stamp” patterns and textures into the surface of the wet concrete. If you want to make the concrete look like pavers, then, you simply ‘stamp’ the wet pour with a pattern that makes it look like you’ve got pavers. You can also get particular textures to replicate the look and feel of other types of materials, such as cobblestones, wood, seashells, and more. 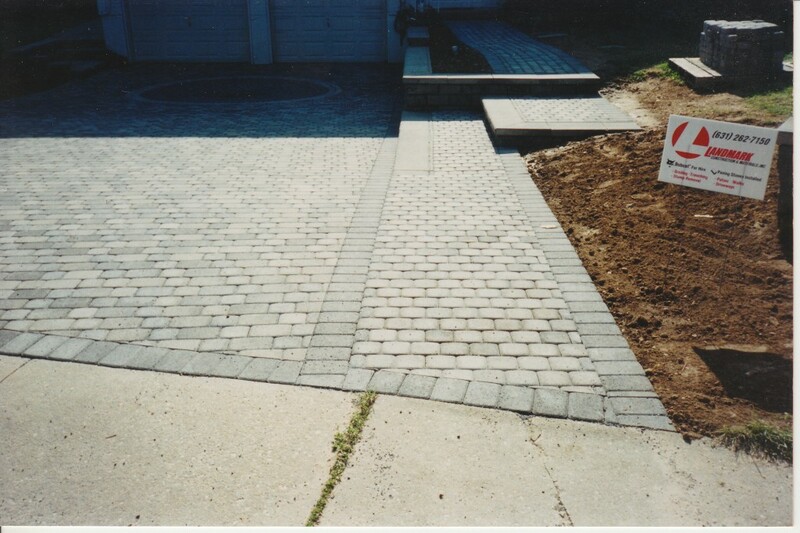 Stamped concrete pavers, then, is just stamped concrete that has been imprinted in a way to look like concrete pavers. 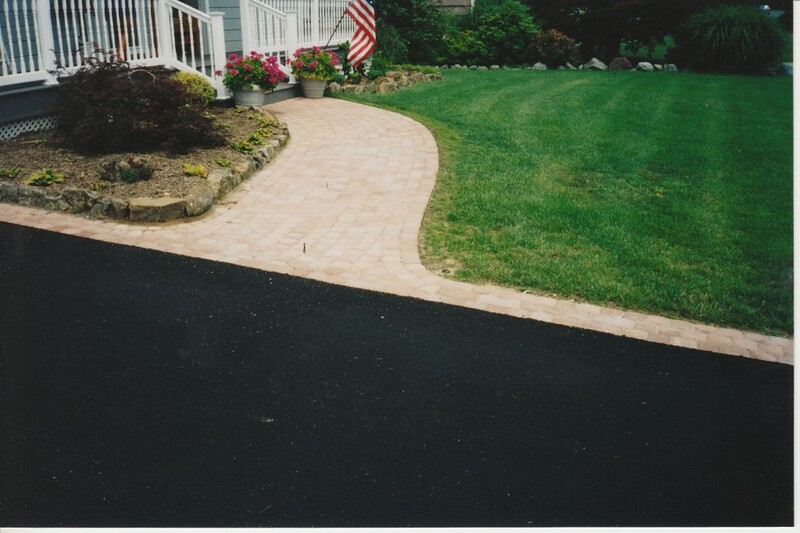 Concrete pavers are separate pieces of concrete that have been formed into separate brick. These paving stones are laid by hand on an aggregate base and sand bed. They are then filled in with more sand and compacted to make a whole structure. 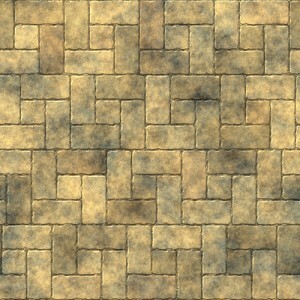 They are thus made from the same material as stamped concrete but put together in a different way. Thus, stamped concrete pavers don’t really exist – instead, you can either get stamped concrete that looks like paving stones, or you can by concrete pavers themselves. But what’s the difference? Why does this matter anyway? Let’s look at stamped concrete. Stamped concrete is really just one huge slab of concrete like any other installation. The only difference is that the surface has been modified. Thus, it enjoys the same benefits and drawbacks as any concrete. It is cheap and relatively easy to lay; it is durable and strong; and it can be incorporated into many different designs and themes. On the other hand, these slabs can crack, especially due to the activity of freeze/thaw cycles. This may be exacerbated by the fact that it’s supposed to “look” like something else, so when it does crack, the illusion is revealed and the overall look is worse than usual for concrete. Pavers, as opposed to stamped concrete, are more expensive than poured concrete, as they must be purchased and laid individually. This increases the materials and labor costs. However, they are as strong as concrete, and perhaps more beautiful. They are certainly more durable as well, as they will resist the cracking that plagues concrete due to the joint system that holds the project together.